Anton Bauer, another brand in The Vitec Group was featuring their Titon Lithium-ion batteries, and faster, higher, stronger seems to be their motto. 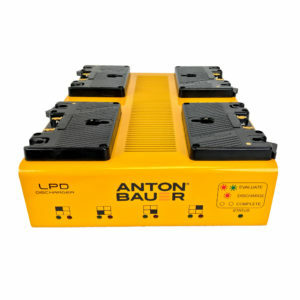 Anton/Bauer Titon is available in two versions, a 90Wh and a 150Wh Battery. These batteries deliver power in temperatures from -4F to 140F. 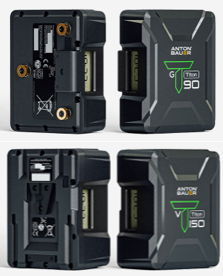 Titon batteries feature an LCD screen that shows you exactly how much runtime remains, down to the minute as well as a Smart USB port that supplies 5v / 2A to charge all your mobile devices too. BLUESHAPE is a product brand emerging from broad experience in the fields of rechargeable battery technologies like NICD, NIMH, LI-ION, and LI-Polymer. They are battery pack designers and manufacturers and in fact, supply complete solutions in the design and manufacture of rechargeable battery products and accessories. BLUESHAPE is native European brand with its base in Reggio Emilia, Italy. Following an encouragingly good international acclamation, the BLUESHAPE management ventured in further investments to produce other useful broadcast products ranging from chargers to accessories such as camera mounting plates and innovative software systems for battery monitoring and testing. 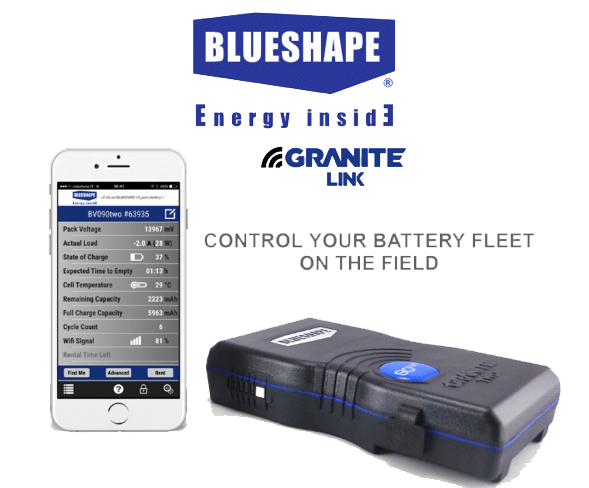 Today, BLUESHAPE manufactures some of the best performing V-lock batteries and some of the fastest chargers available on the market. BLUESHAPE’s obsession is to pack higher value and innovative features within its products. The product range is steadily on the increase with new cutting-edge products introduced on a regular basis. 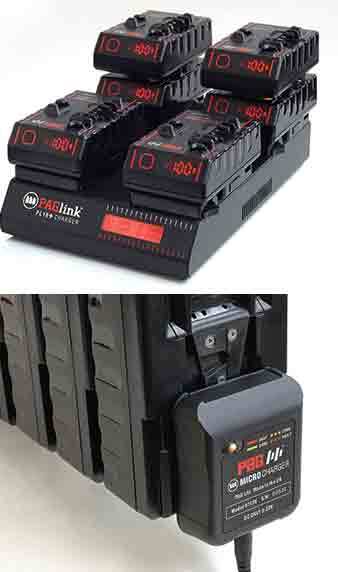 Some highlights during NAB 2019 were their Granite Series batteries compatible with all the major brands such as Arri. These batteries differ from the competition by charging and discharging each cell at the same time rather than one by one. This allows for a much evener cycle and longer life. Additional technology on these include the innovative GRANITE LINK Wi-Fi connectivity features that allow remote battery monitoring and control, further enhancing convenience to users. Frezzi Energy Systems is making it easy to work smarter, not harder. 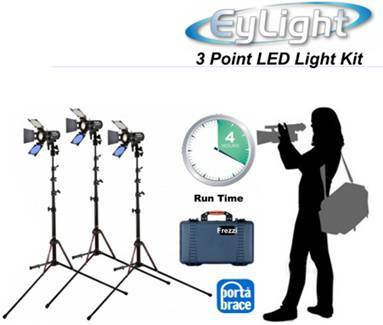 This is apparent with the addition of their 3-point LED Light Kit “EyLight”. Not only does this 3 head kit make working in the field a breeze, but getting to and from your destination as well. This LED kit is carry on friendly, with everything needed fitting directly into the weatherproof Portabrace hardcase. In addition, the travel kit is cordless and provides a quick and easy set up with professional results. Even better, the EyLight features a high output (80W Equivalent), 4 hours of run time, a quick- swap rechargeable battery, and dimmer control without color shift. The addition of the EyLight to Frezzi Energy System’s lineup proves that they are still committed to providing high quality and unique products that are unique to the industry.